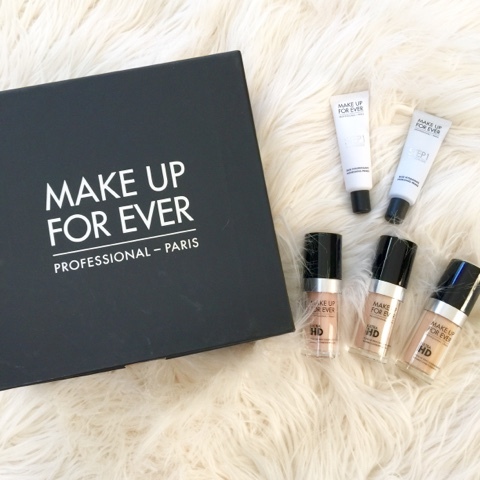 My beauty find for this Thursday is from Make Up For Ever. This is such an amazing line. They sent me one of their newest products--Ultra HD Foundation. It is the first and only foundation designed to keep skin looking flawless under the new 4K technology. This formula looks completely natural on camera and to the naked eye. When I tried this Ultra HD Foundation I was so surprised at how much coverage it provided without feeling too heavy. It was so easy to apply. I first prepped my skin by applying the skin equalizer for oily skin (that's my skin type). This primer helps to correct skin texture issues and create the canvas for smoother, more even and longer lasting foundation. I then used two pumps of Ultra HD Liquid Foundation and applied it to my face using a beauty blender. I started at the center of my face moving outward. It was that simple. I loved how well the shade matched my skin color too. Stay tuned for my looks in future blog posts using this Ultra HD Liquid Foundation. Thank you Make Up Forever!!!! You can shop this look by clicking on the picture below. Happy reading! !